More Than English is a junior summer school offering challenge and choice challenge to students. Choices we offer: choose your individual study, accommodation and excursion options. Our courses are designed to inspire, motivate and support our students to develop their language, skills and confidence to use English effectively in today’s competitive world. To enrol on our program, students need to be aged 11-17 and to have an English level from A2 (Pre-Intermediate) to C2 (Proficiency). For a better learning experience we accept only a limited number of students from each country and language. Moreover, we are the only summer camp in beautiful, historic Ludlow. Advanced students focus on Academic English: presentation skills, academic writing, discussion of controversial topics and critical thinking skills. The maximum class size is 10. • University Prep. (B2 to C2) &amp;gt; choose your university course and make a plan to ensure that your future university application will stand out. 9 hours of Get Ahead study options. •	For students B2 to C1, the emphasis of the 15 hours of Core English is academic and includes: critical thinking; academic writing; discussions on serious topics. • Advice on university courses and the option to visit Birmingham University. •	Get Ahead Creative: 2-week Shakespeare option for B2-C2 students that will really test your critical thinking skills! • Performing Arts: develop team working and technical skills together with confidence at speaking in public. • English Pathways: take your English to a high level with our FCE and CAE exam preparation. Students with B2 to C2 focus on Academic English: presentation skills, academic writing, discussion of controversial topics and critical thinking skills. 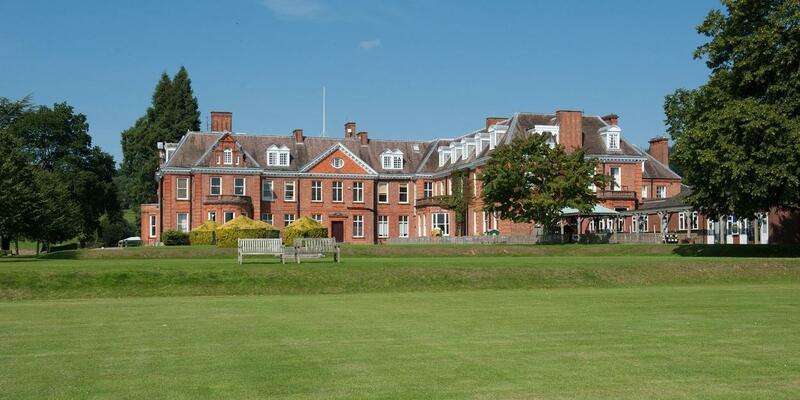 Moor Park is a very big school with a swimming pool, football pitch, hockey pitch, tennis pitch, a big house about 400 years old, big school grounds. I like my bedroom. It’s very big with sofas and I share it with an Italian guy, a Russian guy, a Brazilian and two French guys. The food in my opinion is the only bad thing, many times the flavour is not good and the aspect seems a bit disgusting. English lessons are god, dynamic, is not the typical that the teacher is explaining all the time. Get ahead lessons are great. I’ve chosen tennis and football, the coach was great and we have a lot of fun. As I said before, in my room we have 5 nationalities and in my class 8 nationalities. So al the time we are speaking English. The thing is to choose what we wanted to do in all aspects in excursions (paintball or zip lining, tourist guides ( Liverpool or Bath, London or Cardiff) and of each place different touristic routes (Liverpool: Titanic or Beatles). More Than English is my first summer school in my whole life. That’s why I didn’t know anything about the summer school. So, it means I had no expectations. Since I got here I made quite a few friends who are from many different countries. It really helped me to open myself not being shy or alone. I had quite a big problem with my weight. The weight problem is because of not really doing exercise. And in More Than English I started doing activities which I haven’t tried before and it has helped me socialise with people. For using my English in different ways, I chose leadership. My expectations of leadership were only learning business like writing money pages. But it wasn’t like that. On the first week, we opened our own businesses and now in the second week we are learning speech. But in the beginning, I thought like “why I am here everyday I need to wake up in the morning in the summer and have lessons” But now I get the idea of summer school. Spending time really active not only sleeping half the day but making friends from other countries and learning about the cultures. I had a lot of experience from this school. More Than English Summer School is designed to encourage teenagers to use English in new ways. There you can have various experiences with people from other countries and different cultures. The school has a lot of fun activities like zorb football, bench ball, tag archery and capture the flag, it also has excursions to different cities in England such as Birmingham, Bath, Liverpool and The Beatles Museum or Titanic museum, London or Cardiff. One of the best experiences is visiting Harry Potter, it is magical but you can also visit Ludlow’s castle. The school already has camp fires, games and a barbeque. The lessons in More Than English summer school are really fun and the teachers are very good, it also has get ahead options for the afternoon classes such as football, dance and sports like golf and tennis. I would recommend it. I’m Matteo and I’ve been here for two days, so I don’t have lots of things to talk about just my first impressions. More Than English is designed to make students learn English, but that’s not all its designed to give students new experiences by making new friendships from all around the world, excursions, and activities. I think that making new friends is the most important thing of all, especially if they are not from your main country, so that you can communicate in English with other people. Also, activities are funny and good since they are not the activities you usually do, such as zorb football, bench ball and capture the flag and many others which I haven’t done yet. I can’t really talk about excursions yet since I haven’t done any yet, I am going to do them soon, but I can’t say anything yet. The last point I’m going to talk about is education and classes, which are seriously organised with qualified teachers and between ten and fifteen students for each class. Even if classes are seriously organised, the atmosphere is always happy and funny and lessons are well organised so you can learn English also in relaxed way. In conclusion, I would recommend “More Than English” to anyone who would like to have more new experiences, learn English, and make new friends! More Than English is the name of an English college near Ludlow, the directors of this college are David and Claire. In this college, there are students from all around the world. This means there are people from 16 different countries. The activities are created on the organised fun so you will know what you have to do. The activities are very funny and different from each other. This school teaches you to use English in different ways and how to learn English in different ways, for example with debates. The excursions are very good, the destinations are very good, and they also give you free time so you can go around for shopping, this week we went to Bath , it was very good because we visited some Roman Baths an then they gave us free time. The education is very good, I’ve been here for the LAST THREE YEARS and the teachers were all very good, this year we have Lucy she organises some very good lessons, because they are funny and at the same time you learn English. In the end I love More English because they make you feel like you’re at home. More Than English summer school is designed to help you learn and study English in a funny way. It’s aimed at teenagers from all around the world. The people here can play, make friends, take lessons and such a lot of different things. Teens can meet new people and enjoy their time all together in classes, bedrooms… Although they can spend their time doing activities, going to the swimming pool too. The teachers will recommend you the cheerful activities, but don’t worry all are so good. Apart from that obviously you’re going to take some lessons 3 hours every morning. But they’re okay, cause the teachers to improve different ways to speak or use our English. Finally, I would recommend you this experience because you are going to have a great time with the activities, excursions and of course with your new international friends. More Than English Summer School is designed to encourage teenagers to use their English in different ways. It is aimed at teenagers from 10-17. You can try some new activities like capture the flag, zorb football or paintball. You can do a lot of sports with people from other countries because, don’t forget it, you are here to improve your English. You are also going to make a lot of new friends and you can learn a lot of things from their country. For example, I met a Brazilian girl and even if I’m very bad I’m trying to learn some Brazilian words and she is trying to learn some Italian words. More Than English Summer School there are 16 different cultures, so you can have the chance to meet people from all over the world. There’s only one thing that I don’t like, we haven’t got any free time, so we are very tired. However, my teacher is the best. She is very funny and very nice. Lucy, I love you! Would recommend it because it’s very funny and it’s a different way to improve your English. More Than English is designed to teach to people from all over the world. English in different ways like with lessons, activities and speaking English are all day. It is aimed at teenagers from 12 to 16. People can meet a lot of friends. I went with only one friend but now I have many friends Spanish, French, Lebanese, English, Italian, Brazilian and Germany. We do a lot of activities during the afternoon and the evening. My favourite activity was bowling. In the bowling, I made a lot of friends who come to more than English the day before. During activities, I learnt a lot of new words, maybe more than during the lessons. I can speak to other people using English of course! On Wednesday, I went to Birmingham and I a beautiful library and an amazing an very big shopping centre. On Saturday, I went to Bath a very beautiful city with lots of shops. All people of the staff are nice but maybe they are too much stressed as we are not children and we can look after ourselves. Teacher is the best, I love Lucy, she is a teacher but a friend like Valentina. Our sons went last summer to more than english course. There was the first time we have left them alone abroad, but we always feel they were looked after incredibly well. They learnt a lot, very motivated to speak English everywhere, made friends of different countries and did so many excursions and activities. When we went to pick up them they didn't want to return home! It got me all impressed from the beginning, as the days went by I got a real clue what was all about, that means absolutely a place and summer school much "More than English" great teacher, stuff, team, food, and the most of all, my son was very happy and excited to be there. I would do all over again, and for parents that are not sure yet about sending your kids, you all shoul do it. Get involved and you also be part of this wonderful experience. Thank you all "More than English"